One of the better pubs in Exeter i have to say. An amazing survivor really as the Exeter Quay has been dying over the past few years with many pubs and clubs closing. Inside has a nice seating area and a larger back area with a pool table, this is where the bands play which is what this pub is known for. Also suprisingly a decent outside seating area too. Nice drinks selection and the wine we had was nice and priced about right. A popular pub for all sorts and all ages and always people popping in and out. 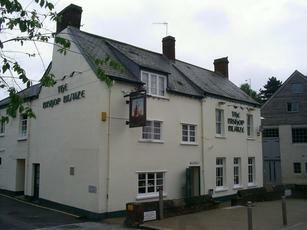 exactly what you want from a boozer, any time i am in Devon i make sure to spend a couple of evenings in here. friendly publican, good beer, well-kept. karaoke, darts, quiz machine. hard to improve on this pub in Exeter. keep up the good work.